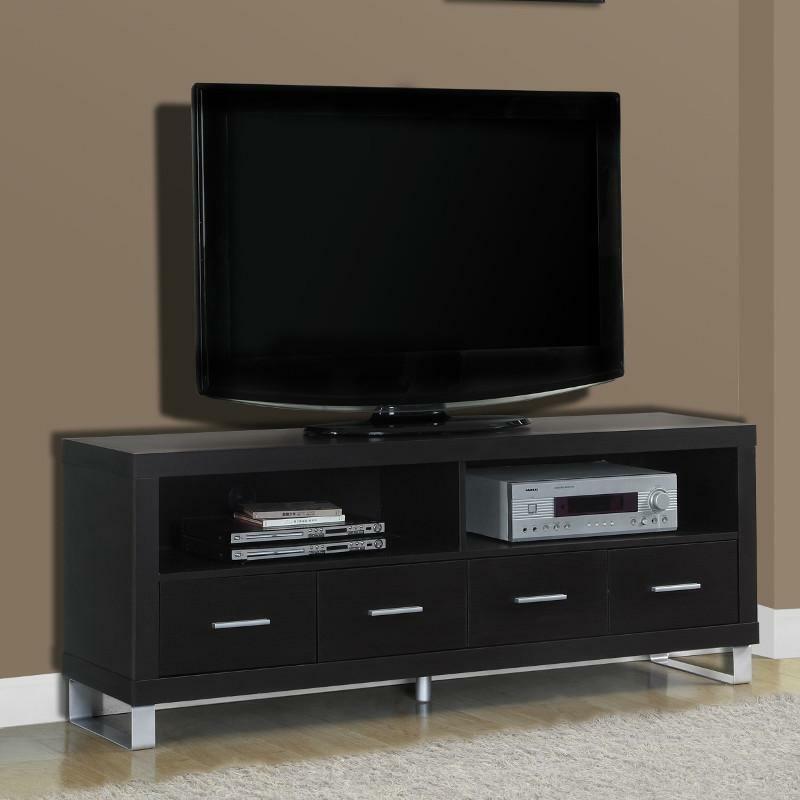 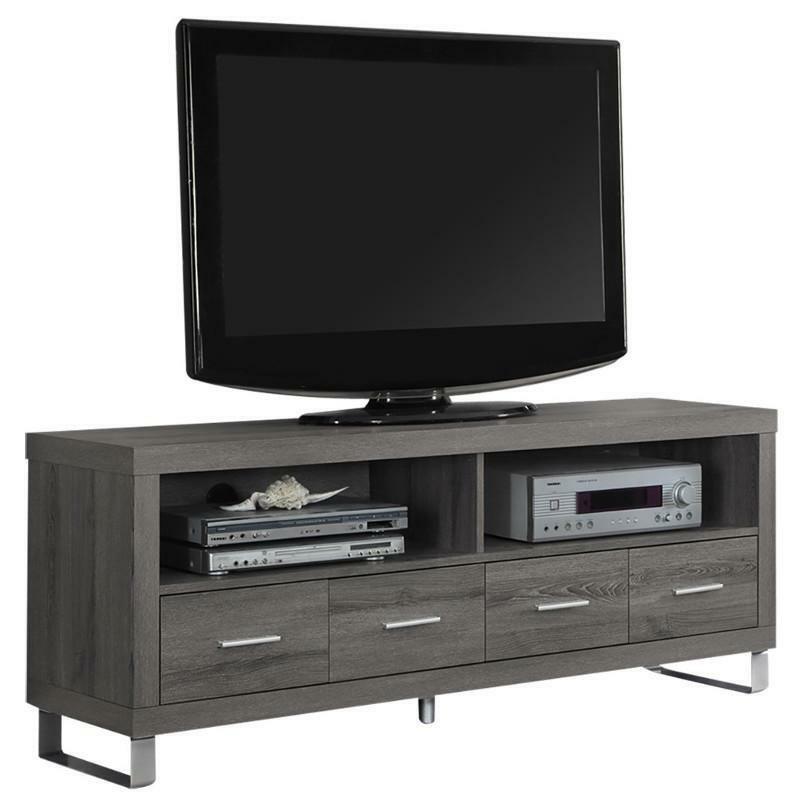 Complete your home decor with the simple contemporary elegance of this TV console from Monarch Specialties. 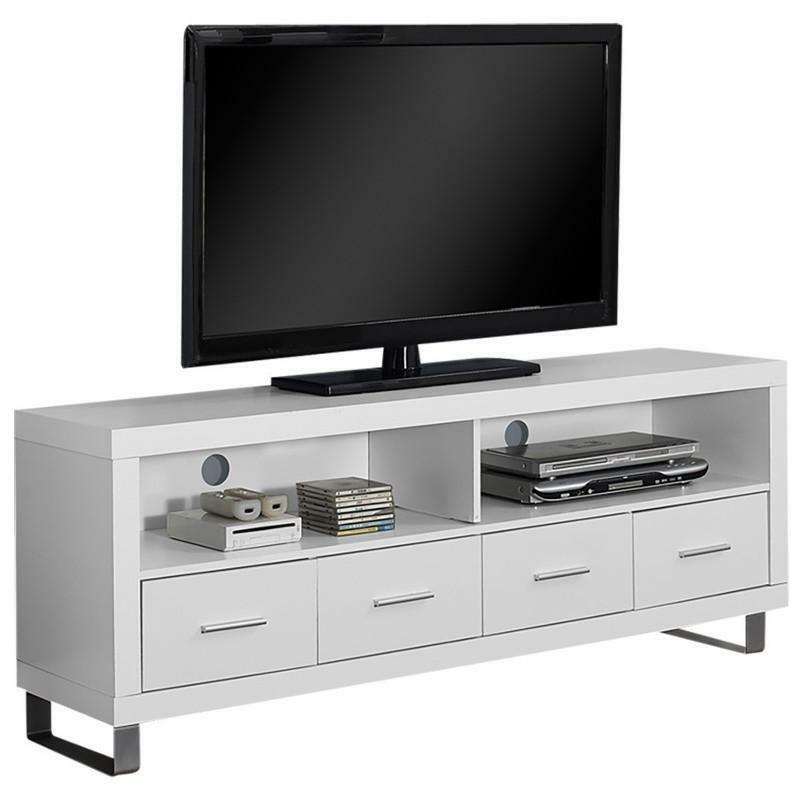 Featuring 4 spacious storage drawers for your entertainment accessories and 2 open storage shelves for your electronic components, this piece is the perfect blend of fashion and functionality. 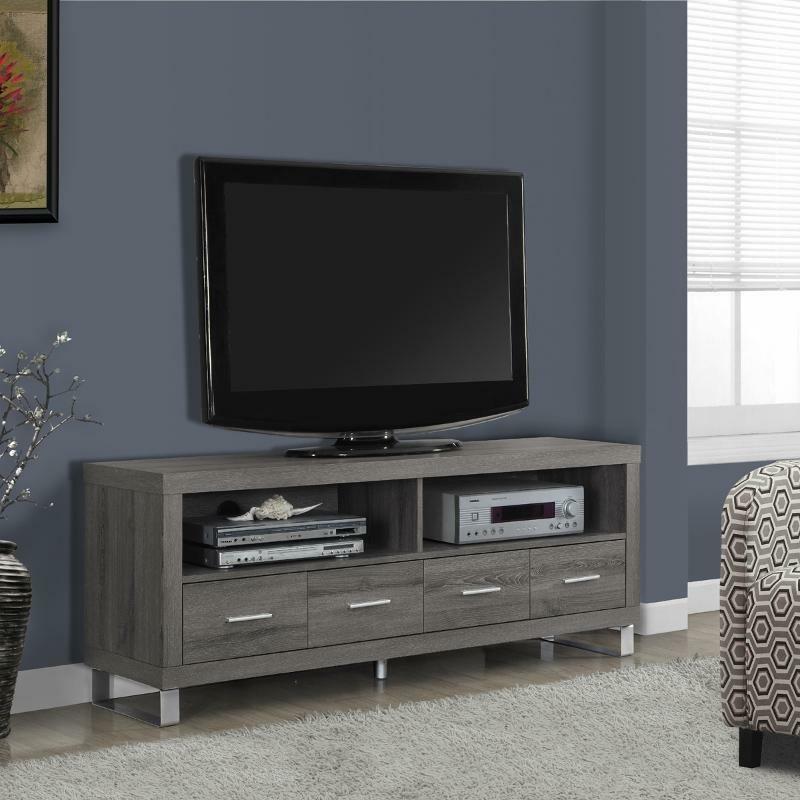 Sleek track metal legs and silver colored drawer handles provide a modern look that makes this console a must have in any home.